Interactive Floor Plans is a great tool to help plan your new home. Do you want to see how your new home will look? The visualizer features with interactive floor plans, shows you a 3D image of the façade and the interiors. What is Interactive Floor Plans? 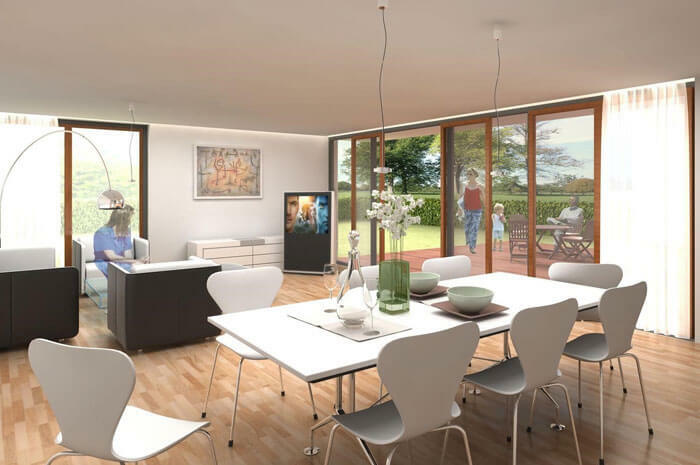 What are the benefits of Interactive Floor Plans and Visualizer Features? How can you visualize your home interiors? 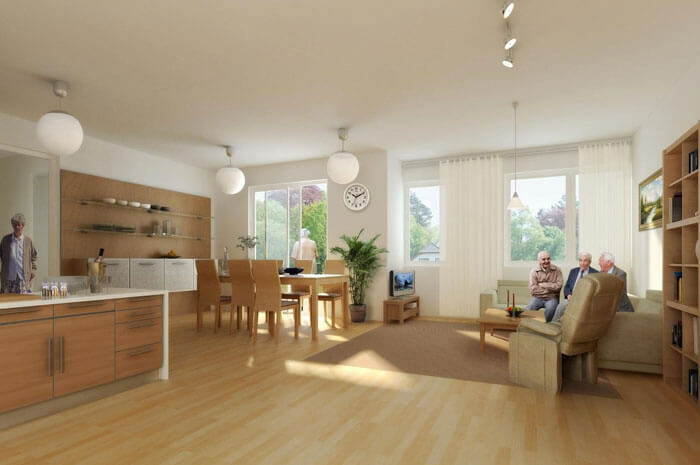 With interactive floor plans you can have interactive site views. This unique feature offers real time views using amazing 3D graphics. For new home buyers it is a buying experience like never before. Seeing exactly what your new home will look like is now possible with interactive floor plans. What does it mean to visualize a new home? You no longer have to use your imagination to try and imagine why your home will look like. Interactive floor plans and its amazing visualizer features enable you to actually see it. You get to see it in a real lifelike setting. If you are a house proud person you would obviously like to do your home up in your own way. This could entail a lot of visualizing and even a few structural changes. The greatest benefit of buying a new home is that it allows you to make changes as it is being built. This means that you don’t have to buy a standard design home and spend money on renovations at a later stage. All this is possible with interactive floor plans. Over and above that it helps you to save time too. So how are you able to see a home that isn’t even built yet? Floor plans allow you to see your finished home in virtual reality. You can even put in furniture to see what it will look like and how the furniture will fit. You are probably wondering what exactly interactive floor plans is? How can you use it to customize your new home? Interactive floor plans, is a software technology which enables you to plan your new home. It is interactive and offers the user numerous options. You can make changes to the floor plans according to your personal preferences. You can extend rooms, add or remove extensions and a variety of other options. The customization options are endless. BluEntCAD extends the option of interactive floor plans to you for your new home. Want to make a few changes to the floor plan – make a room larger, add a play area, or add more space to the master bedroom? Interactive floor plans give you a number of options to modify the floor plans to suit your liking. A home is about how you and your family live. 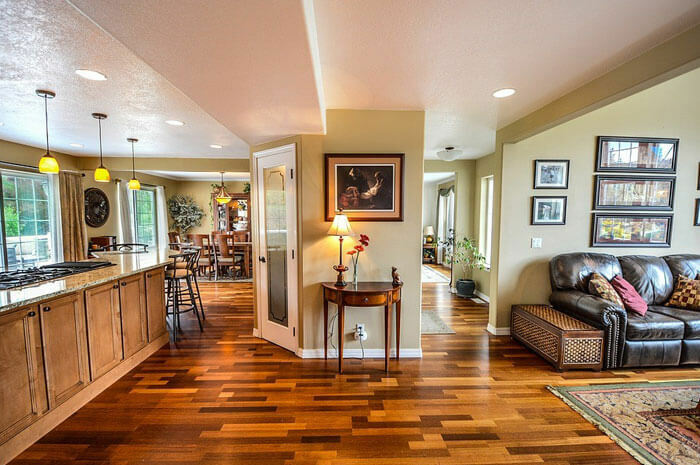 Do you spend more time in the kitchen or the family room? Do you need a larger kitchen, more cabinets, a bigger island? 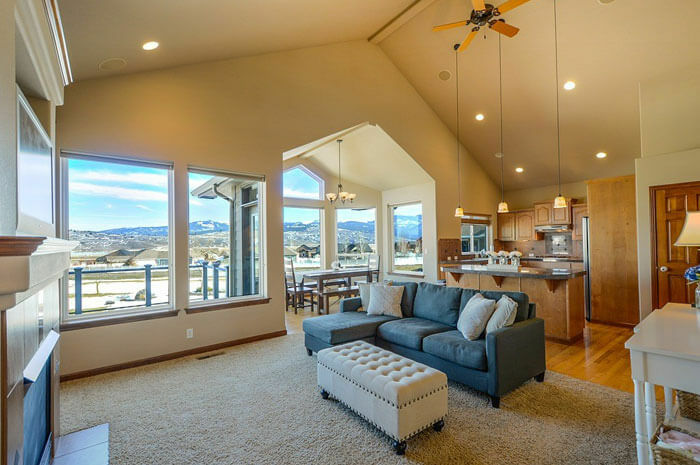 Interactive floor plans enable you to feel what it would be like in your new home. This experience helps you to design your home the way that you prefer. Even something as simple as the size of your window or the kind of lighting can be decided using this technology. The best part is that you can even use the interactive options to customize the interiors with furniture in it. The finishing is the tricky bit in a home. The materials, colors, shapes and patterns have to blend perfectly. You can mix and match colors and materials to get the finish you desire. The color f your kitchen cabinets, the granite counter, the tiles on the wall and the flooring can now be viewed and decided in advance with interactive floor plans. Interactive floor plans allow you to customize as per your budget. Every family has a different price point. Now you have the flexibility and freedom to choose a home with great interiors, which fits into your budget. This is possible by eliminating needless elements and replacing them with essential ones. Plan your interiors- you don’t need to be in your new home to start planning your interiors. The Visualizer features of the Interactive Floor Plans enables you to get a clear idea of what you can expect. Preorder your furniture- By preordering your furniture you can have it all ready by the time you move into your new home. Avoid delays and the usual time lags associated with getting a new home setup. Work on interior decoration ideas- You can plan color schemes and room themes. The visualizer features will enable you to envision how your ideas will look once they are incorporated. You can even buy your curtains in advance. Get rid of the stress- Choosing options for a home can be very stressful. You are wondering if the flooring will look all right, will the granite slab match the cabinets. Interactive floor plans put an end to this stress. If there is anything you don’t like in your new home, it can be changed. Home buyers never imagined that they could actually see what their new home would look like before it was built. But all that has changed with the introduction of new technology. Interactive floor plans allow you to see the interiors and exteriors of your new home in 3D. It gives new home buyers an opportunity to experience their new home without physically being there. Interactive floor plans empower the buyer. It provides a satisfying experience for both the builder and the home buyer. After all this interesting information about interactive floor plans and customization options, you’re probably wondering how you can avail it. BluEntCAD is just a call away. 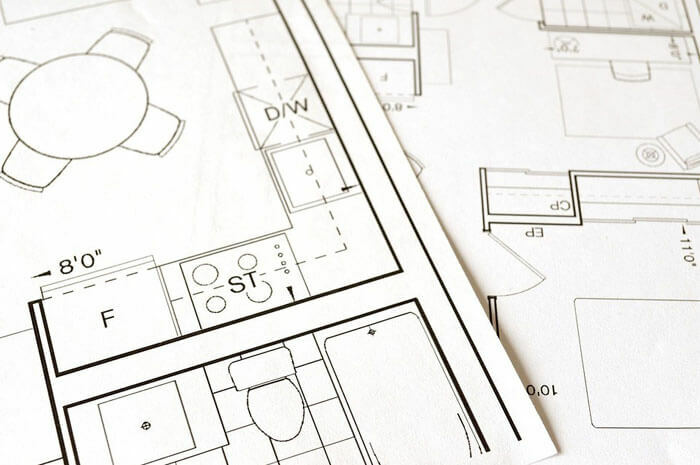 Get in touch with us and we will guide you on how you can use interactive floor plans to customize your new home.